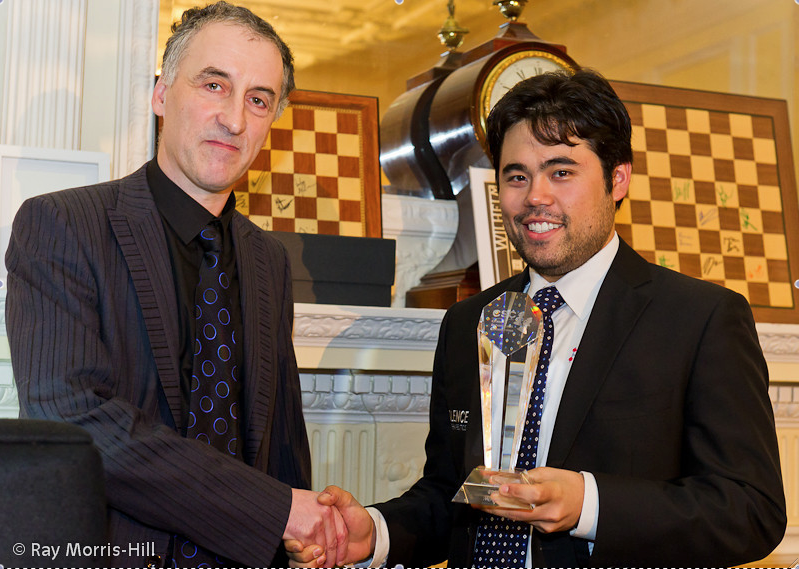 Malcolm Pein presents Hikaru Nakamura his first-place trophy for winning the London Chess Classic. Credit Photo courtesy Ray Morris-Hill. St. Louis resident and U.S. No. 1 Hikaru Nakamura won the main event in style by knocking off the 14th World Chess Champion, Vladimir Kramnik of Russia, in the semi-finals and former world championship challenger Boris Gelfand of Israel in the final round. 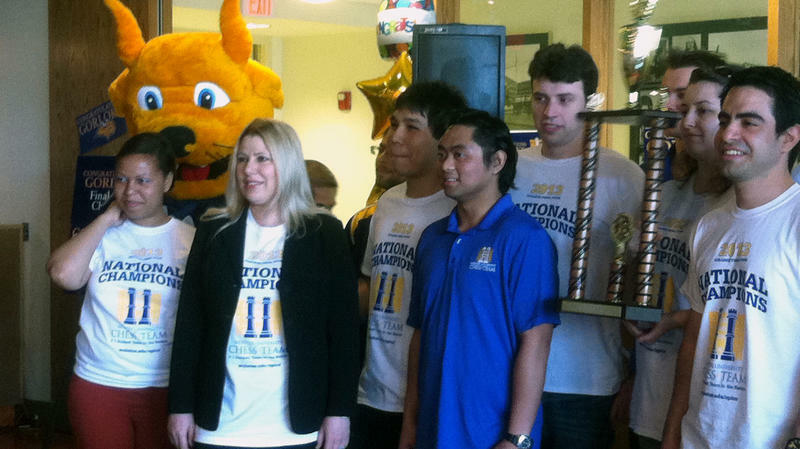 Nakamura netted more than $68,000 to go along with the first-place trophy. Nakamura, who has moved up to No. 3 in the world rankings, looks to continue his stellar play at the Tata Steel tournament in Wijk aan Zee, Netherlands, Jan. 10-26. Although Nakamura’s victory secured the biggest headlines, the London Chess Classic consisted of considerably more than just a high-profile tournament. In addition to the chess world’s best players, including Nakamura, Kramnik and the recently deposed 15th World Chess Champion Viswanathan Anand, another group of chess elite gathered in London last week. Side events at the Classic included junior tournaments and celebrity appearances. The world’s top chess educators and organizers of chess-in-schools programs also gathered to present, network, learn and share. Malcolm Pein, director of the London Chess Classic and head of the widely successful London-based Chess in Schools and Communities (CSC) program, said the conference filled a vital role in providing a forum for chess educators to freely exchange information, ideas and contacts. Presenters from Spain, Armenia, Denmark, France and more were on site to share their experiences in a collaborative environment designed to promote chess in education. Matt Barrett, scholastic coordinator for the Chess Club and Scholastic Center of Saint Louis, attended the event in the hopes of learning more about further expanding existing programs at schools in the St. Louis area. 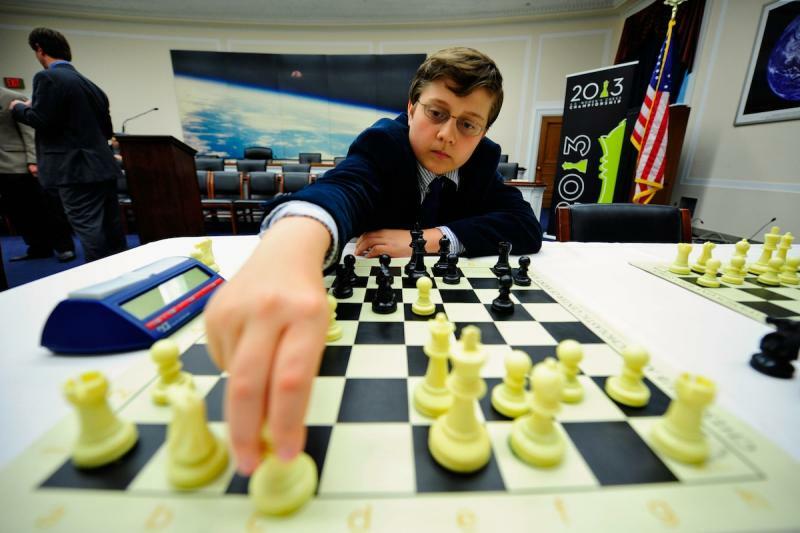 As the prevalence of chess programs in schools continues to grow locally, nationally, and internationally, the need for communication between educators and researchers becomes paramount to ensure the success of future and existing programs. The London Chess Classic offers the perfect environment for top-level players and top-level educators to collaborate on creative ways to bring chess to more students across the world. Note: Mike Wilmering is a 2006 graduate of the University of Missouri at Columbia School of Journalism and currently serves as the communications specialist for the Chess Club and Scholastic Center of Saint Louis.